We are passionate about rabbits, and we are glad that you are too. Using our cumulative knowledge as bunny people, we created this site to help you through any bunny related decisions you might have to make if you wish to own a rabbit. We have lots of information about how our fury friends behave and what they need from their owners to have long and happy lives. We go into detail on different rabbit-based situations, such as teaching you how to decide whether it’s a good idea or not for you to give someone a bunny as a pet. If a subject is hare-related, we will most likely have an opinion on it. 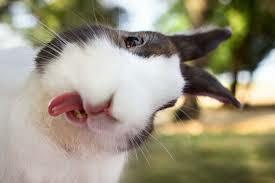 PetBunny.net was created for all rabbit owners, potential owners and anyone else who loves these beautiful creatures. We provide detailed information about bunnies and how they behave. We hope that after browsing our site you will know more about them than you did before you visited us. Our mission is to educate you on everything rabbit-related, and hopefully you will carry this information on to people you know as well. These creatures are unique and beautiful, and they deserve to be respected and well-cared-for.